Last month, I was invited to Vionic Shoe event for a lovely lunch at the Marco Pierre White Steakhouse in Birmingham. This was the first time I’d heard of this shoe brand – Vionic, and they have just been around in the UK for around a year in Shuropody and other shoe retailers. They are a very well established leading global maker of consumer and medical footwear. Now they are branching out to Europe. Their shoe is not only make your feet feel great but the shoes look great too! 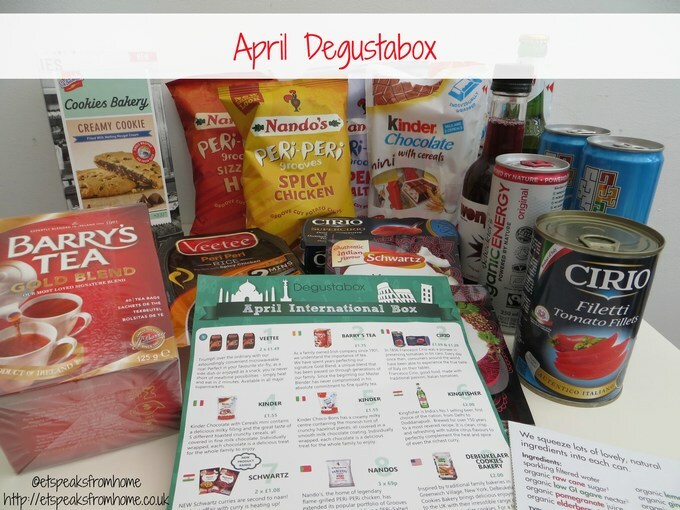 This is my second month reviewing this Degustabox. Yet again, another interesting set of food and drink products. This time around, the theme is BBQ. I’m afraid to say that the weather has been too terrible for BBQs. Nevertheless we have had our own ‘BBQ’ chicken cooked in the over over the bank holiday! 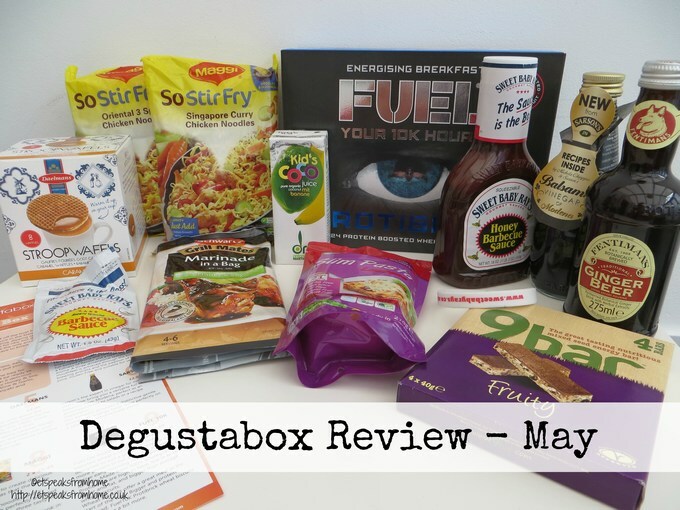 Before I go into more detail, let me recap on what is Degustabox? It is simply a monthly subscription food & drink box. Each month, you will receive 9 – 14 different types of food & drink products and many are completely new to the market. You only pay £12.99 including delivery. There is no commitment and you can cancel any time. If you do like this idea, use this code 35SRB to give you a £3.00 discount when registering! If you don’t drink alcohol, you can opt to receive an alcohol free box! Opening the box, all the items were neatly packed even through transit. Plenty of bubble wrap is used to protect those breakable items. They also included product information and a flyer/recipe. The flyer has information to help you to understand where the foods have come from and the RRP. On the back of the flyer is the recipe. Are you adventurous with food? Would you like to try 9 – 14 different types of food products each month? Degustabox will be a great solution for you! This April month has an international food theme. If you don’t drink alcohol, you will receive an alcohol free box! Opening the box, it was very neatly packed with lots of bubble wrap to protect those breakable items. They also included product information and flyer /recipe. The flyer has little flags on it to help understand where the foods have come from if you are interested. It also has the price list and recipe on the back of the flyer.